Pain is a sensation generated in the nervous system. Two kinds of pain are recognized: acute and chronic. Acute pain is a message to the body that something is wrong, perhaps an injury. It goes away when the cause of the pain is addressed. Chronic pain is different, and can exist for months without an apparent cause although sometimes it begins from an injury. Chronic pain can be debilitating, affecting all aspects of a person’s life. One study found that in various countries between one in ten and half of all persons deal with chronic pain, and that it is more common in men than in women. People with chronic pain often use distraction as a self-management technique to deal with their symptoms. Virtual worlds can provide plenty of distraction, so it should not surprise SL users that some of us live with chronic pain. 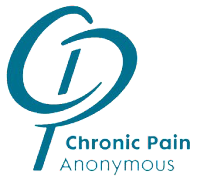 The peer support group Chronic Pain Anonymous (CPA) offers fellowship with others dealing with chronic pain in a variety of environments, face-to-face and electronically-mediated. CPA came into Second Life in 2016 as an expansion of community venues. On Friday, November 18, at 11am Pacific, a panel of CPA members will share their lives and their experiences with CPA, both outside and inside the virtual world. Shlya is a former storm chaser, outdoor adventurer and comedian who, to pay the bills, developed industry-specific solutions and implemented enterprise-wide systems for Fortune 500 companies. Shyla is a published author, editor, blogger and poet. She is also a caregiver. As Shyla's condition progressed, a combination of spondylolisthesis, osteoarthritis, peripheral neuropathy and Achilles tendonitis, her life changed dramatically. She has limited mobility and lives in constant pain which reaches 'severe' levels on an almost daily basis. She sought support in various groups, including Chronic Pain Anonymous. Ivy Lane was born in Second Life in January of 2007, while her alter ego Lee Ann B was attending the University of Massachusetts, Dartmouth. Ivy was created as part of Lee Ann’s senior project which needed to be a three dimensional environment. So Ivy was born a Project Manager destined to create the Turtle Gallery, the first ever online virtual 3D resume used to showcase her artistic abilities and range. Lee Ann is a successful artist, published writer and a loving mentor. Chronic pain has been Lee Ann’s constant companion for over 25 years now, so life is a one day at a time adventure in learning how to cope and still function enough to feel like a contributing member of society. She spent five years volunteering for a local no-kill shelter called Attleboro Friends of Cats, Inc. This was a life-changing event that brought her into the world of photography and as the Assistant Director of all things Internet she improved their web presence, photographed all kitties and increased adoptions by 66% within the first year of taking the non-profit organization online. As her chronic daily pain increased and caused some loss of mobility, Lee Ann sought a solution that might help her accept her new level of pain and disability and found the blessing of Chronic Pain Anonymous to maintain an attitude of acceptance and gratitude. Teejens is a wife, mom to three grown children and grandmother to seven. Her last place of employment was at a large online store as a Quality Assurance Representative. Some of her hobbies include painting, reading and keeping up with the latest fashions. She has been diagnosed with Degenerative Disk Disease, Spondylosis, Osteoarthritis, Fibromyalgia and most recently with Peripheral Neuropathy. She is in a constant state of pain and her conditions are growing worse. She is grateful for the opportunity to speak today and for the support groups that are available to assist her in learning how to live her life with chronic pain. David is a quirky, free-thinking, problem solver with a range of interests, from cooking and reading to gaming. In his professional life, David is a Public Accountant and Trustee for a charity. David has a very rare degenerative muscle condition, post-transplant 13 years. He has a range of background pain and sudden flare ups. He suffers with fatigue and is a wheelchair user. David found CPA through the fellowship and also a member of another Twelve Step Program. Tammy was a poor, single mom while putting herself through university. After graduating, she had some office jobs and ended up in the Chicago building trades. The job had a 100 lb lifting requirement. She was the 7th woman in her union of 1500 men. She was collecting unemployment in 2008 when the economy fell apart. During that time, she took care of her mom who died of cancer in spring of 2009. Two months later, her dad got diagnosed with cancer and had a very debilitating stroke. She became his full time caregiver. A combination of things (stress and lack of proper health care) led to Tammy becoming seriously ill with multiple autoimmune disorders. A series of medical treatments made her medical situation much worse. After being laid up for about 3 or 4 years, Tammy found CPA.